I got a request for a custom quilt from a lovely lady involving jellyfish. 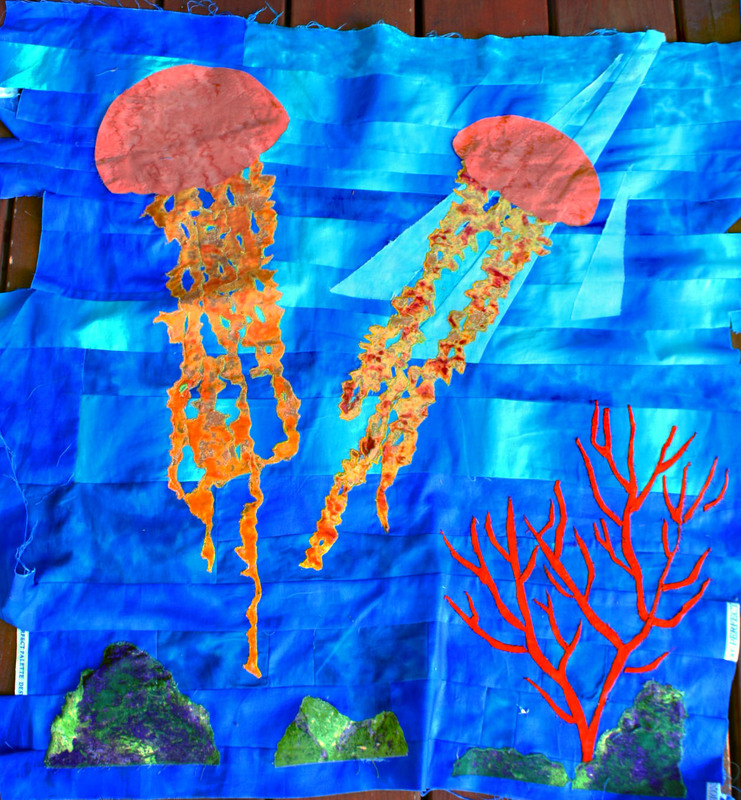 She wanted an art quilt with 2 jellyfish featured on it as a wedding gift for a friend who really loves jellyfish. After coming up with design ideas I settled on a direction to go. Ran it by my customer and she liked it so I was up and running. 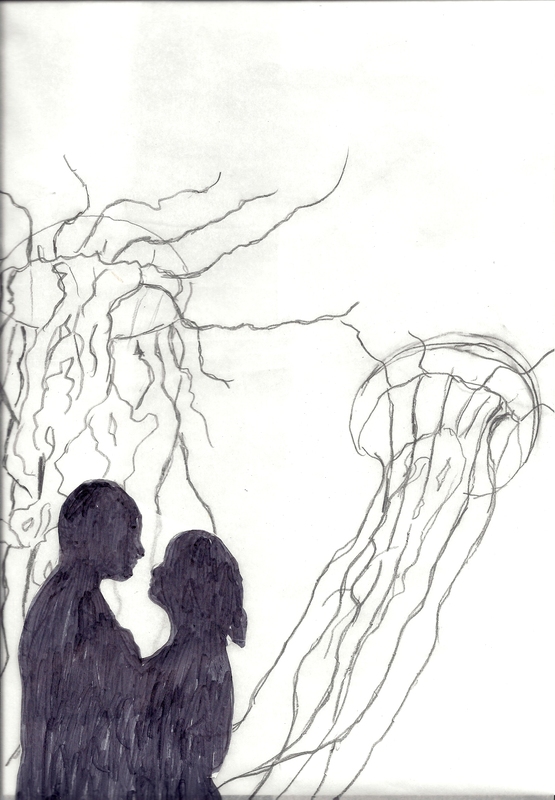 first sketch 2 lovers at the aquarium silhouetted reject! After fusing everything down and stabilizing, I started thread painting and stitching it down. I like to zigzag the raw edges. More later on the progress. Over the weekend went to Quilts by the Sea quilt show in Newport Oregon, shared a booth with Teresa of Quilts by Nature. Lovely people who put this annual show on. Lovely show, small but not too small. Enjoyed the interesting visitors to the show. Got the flu on the last day, made tearing down and packing an awful chore sick. Got my latest new grandson yesterday morning he’s adorable. I had a blast holding him, he made the cutest little sounds, we said he was purring,. Grandchildren are the bestest! !I’m blessed with several wonderful ones.